Vertical agriculture is an urban agriculture, and crops are grown throughout the year, often in extremely controlled environments, such as indoors. In addition to growing crops, some have developed a way to farm fish in a self-sustaining system. The water from the plants is recycled into the aquarium, and the fish waste becomes the fertilizer of the plants. Plants and fish can then be harvested for food. In recent years, plant factories and vertical farms have gradually emerged everywhere, and the construction methods are varied, and vegetables can be grown on the ground, underground, in the air, at sea, and in containers. According to reports, an indoor agricultural company called NextOn leased a closed tunnel in South Korea and transformed it into a smart farm by using vertical stacking, using hydroponics and LED lighting to grow crops. 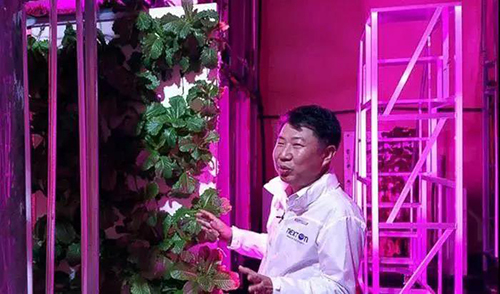 According to the company, this is the world's first indoor vertical farm built in a tunnel and the largest vertical farm in Korea, covering an area of ​​2,300 square meters. Recently, in Scotland, IGS launched Scotland's first vertical farm and claimed it is the world's most advanced indoor farm with its patented power and communication technology. It is reported that IGS's vertical farm is located at the James Hutton Institute, and researchers work with the IGS team to explore the impact of different growing lights on crop yield and quality. According to IGS, vertical farms can be monitored through a single platform. This solution will help reduce energy consumption by 50% compared to other indoor growing environments. In Las Vegas, USA, a company called Oasis Biotech turned a vacant industrial site into one of the largest indoor vertical farms in the United States. Vertical farms have been serving restaurants in Las Vegas since opening last month. Due to the installation of LED lighting systems and a controlled indoor environment, the farm can grow fresh vegetables throughout the year. The ultimate goal of vertical agriculture is to reduce water waste, eliminate pesticide use and shorten food miles, and reduce food waste by 90% by locally growing and growing fresh vegetables on demand. The Metro chain supermarket in Berlin, Germany, cooperates with Infarm to promote the indoor vertical farm program, planting fruits and vegetables directly in the supermarket and selling them at the same time, so that customers can easily and personally harvest the fresh ingredients to be purchased. Infarm is committed to growing food in a variety of impossible places, using old containers to create stackable modular planting boxes, via an internet-controlled irrigation and nutrient supply system, simulating sunlight. In order to help plant the LED lighting for photosynthesis, and to install a variety of sensing equipment to monitor the situation, consumers can also know the growth process of the food in real time through the network. In the supermarket walkway cover vertical farm, it only takes up a few square meters of small space in the supermarket and can extend upwards and expands. The biggest benefit is that the supermarket infrastructure is complete, no need for any additional construction or adjustments, just install the system and start working. It is beneficial to consumers with many advantages such as reducing the transportation, storage and preservation costs of food materials, and is favored by consumers. According to media reports, Dubai is about to build the world's largest vertical farm. After completion, it will occupy 18.11 acres, but the output is equivalent to 5463.2 acres of farmland. Under full production, the plant produces 2,700 kilograms of high quality, herbicide-free, and pesticide-free green leafy vegetables per day, and water consumption is 99% less than outdoor planting. According to the Singapore Straits Times, strawberries grown in vertical farms in Singapore are now available in some supermarkets for 12 Singapore dollars per basket. Strawberries are warm and cool, while Singapore is tropical and not suitable for growing strawberries. It is often necessary to import strawberries from abroad. Today, with the high-tech of vertical farms, Singapore's strawberries can also be produced and sold. 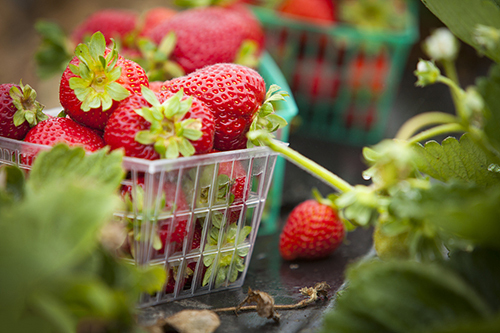 Although this price is not cheaper than imported strawberries, the farmer produces high-quality fruits and vegetables and sustainable agriculture. It can save long-distance transportation by selling and selling in Singapore, which not only ensures the freshness of fruits and vegetables but also is more environmentally friendly, even on price. There is no big advantage and it is more competitive than imported strawberries. Why do some vertical farms can not develop? Despite the hot, there are always some vertical farms dead on the road, why? How do you use vegetables grown in vertical farms? How do you supply them? How to sell? In other words, if you can't sell them, then you shouldn't let them grow up. And when you identify the target group for sales, "sales ability" is especially important. Second, when you know who to sell, you should make the farm produce as close as possible to the demand side, thus shortening the supply chain. Finally, consider the supply capacity of the site, which is related to the ability of the site to support a large amount of power under various heating, ventilation and disinfection equipment problems. 2. Cost: Once the city is selected as the main battlefield, how should the cost of the vertical farm be calculated? According to the data, in the Japanese market, 20%-25% of the production cost per ton of vegetables is the cost of electricity, including lighting, air conditioning, ventilation, water pump, and other costs. But this is not the highest. The highest cost is the depreciation rate of equipment investment and plant in the early stage, which accounts for 30%-35% of the total cost. These two parts add up to more than half of the total cost. But overall, the cost of electricity is bound to be lower and lower. According to the US Energy Information Administration report, LED lighting efficiency has increased by about 50% from 2012 to 2014 alone. By 2020, LED lighting efficiency can still be increased by 50% due to cost reduction. In fact, considering the cost should be measured by the overall economic model of a vertical farm, rather than just looking at the fixed input cost comparison, future sales, transportation, loss, price, and other factors should be taken into account. 3.Price: Although the initial investment in electricity and hardware facilities accounts for more than half of the total investment, it is foreseeable that the hardware costs of vertical farms will decline year by year. Will the market emerge as a big player in vertical farms for the next three or five years? Experts believe that the ability to compete for quality and sales is important for big players. From the price point of view, the price of 500 grams is about 2-3 dollars, there is really no way to be as cheap as the vegetables bought in the ordinary market because the farm itself has the cost of the headquarters, and the distribution channels must also maintain profits. But the head consumer is acceptable to buy such high-quality vegetables at this price. There are several key factors for vertical farm investment to be lost, including crop selection, lighting selection and design, airflow design and climate control, plant spacing strategies, crop logistics and automation, irrigation and nutrition, and Material selection, data, sensors, controls and software as well as target audience and sales channels. At present, the propaganda point of vertical agriculture is to make full use of space, and the output is much higher than traditional cultivation. However, the vertical agriculture cultivation mode makes it difficult to carry out outdoors. If it is cultivated outdoors, only the upper layer of the crop can be fully illuminated, while other crop layers that are not fully illuminated will have a low natural yield. This feature makes vertical farms rely primarily on LED growth lights to provide light energy, requiring customized spectra to promote crop growth. Spectral ratio and specific dynamic control make LED growth lamps play an important role in crop growth in vertical farms. Different crops such as lettuce and carrots require different spectral “recipes”. As more and more people are interested in planting plants in vertical farms, many people have tried to simply buy a vacant warehouse, plug in some growing lights, and plant vegetables. This method of planting may be rudimentary, but it is also an improvement for the development of vertical farms.